 Well, it’s been a while since I last updated the website and an extremely busy time for us. 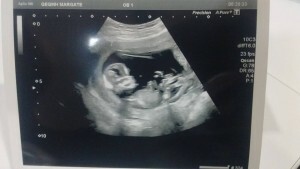 In November my husband and I found out that we are expecting another child. 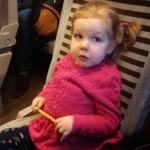 This was a joyful time, but also completely different to our other pregnancies because this time, we had the knowledge that we are both carriers of SMA and had a 25% chance of conceiving a baby that would also have the condition. In our previous pregnancies we had declined all genetic screening (the quad test offered at 12 weeks), because we had decided that we would not terminate the pregnancy on the grounds of our baby having any of the genetic conditions tested for. However with this pregnancy, having already our other 2 children and their needs to consider, we decided to opt for genetic screening. SMA is not routinely tested for in pregnancy unless you have a family history of the condition, so we needed to seek the advice of our genetics consultant, who we were referred to after Helena’s diagnosis and who carried out our carrier testing. Our genetics doctor informed us at the time of our carrier screening that it was of the upmost importance that we inform her early in if we planned a subsequent pregnancy. I believe her words were, “As soon as you have a positive pregnancy test, I need you to contact me”. So we did this as soon as we discovered the news and at only 4 weeks pregnant, that gave us time to plan the genetic testing. The geneticist explained to us the the NHS could only offer either CVS, carried out at about 12 weeks pregnant; or Amniocentesis, carried out later in the pregnancy. CVS takes a small sample of cells from the placental site and amniocentesis takes a sample of the amniotic fluid from around the baby. She explained to us that the test is carried out at 12 weeks because at this gestation they have a better chance of obtaining a good enough sample to test, however there was a chance that the sample would be inadequate and the test would have to be repeated. She explained that this test carried a 1-2% chance of miscarriage. However, she also explained to us that since September, there has been a new test available called NIPD, which is Non-invasive prenatal diagnosis. This NIPD test could be carried out at 8 weeks gestation and required a blood sample from me taken via a standard blood test, no risk to the baby. However, this test was not yet funded by the NHS. After discussion, we decided to opt for NIPD because we wanted to know at the earliest opportunity whether our baby would have SMA and the non-invasive nature of the test and lack of risk to the pregnancy were also preferred. So I later attended hospital in London and was scanned and found to be 8 weeks and 1 day, so they were able to perform the blood test – taking the biggest bottle of blood I’ve ever seen! Ha ha! The results would take 2 weeks, because they had to extract the free cell foetal DNA found in my blood sample and then analyse this and compare it with the stored blood samples they already had for myself, my husband and Helena. Now, unfortunately this results period coincided with Christmas, so we had to wait until after Christmas for our phone call. When the phone call came however, it was not the good news we had been hoping for, but also not confirmation that the baby had SMA. Unfortunately a lab error had meant they were unable to obtain conclusive results from our first sample and the test had to be repeated again. The waiting was horrible, and the knowing we would have to wait again was equally not an appealing thought. Luckily however our second test was successful and at 12 weeks we got a phone call with good news, our baby did not have SMA, but was found to be a carrier of the condition. This means that our baby like myself, my husband and 1 in 40 others within the population would be a carrier. The following day, we had a 12 week scan and it was an extremely happy occasion. So a right old mixed bag of emotions really! The excitement of discovering we were pregnant, the apprehension of waiting to discover whether the baby would have SMA or not and then the joy to know that the baby was unaffected and to all intents and purposes we could continue with a normal pregnancy. I can honestly say hand on heart that I don’t know what we would have done had we discovered our baby was also affected with SMA. Lots of questions ran through my head at the prospect. 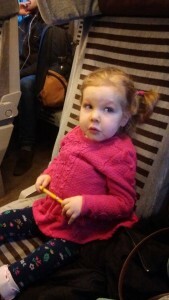 We had discussed before hand that we wouldn’t continue with a pregnancy in which the child had SMA, because we already had Violet and Helena to consider, because life with SMA is extremely hard. 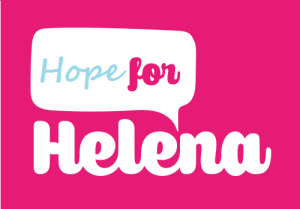 I love Helena to pieces, but it is hard work to keep up with her endless appointments, her physio, her care needs, when she gets sick, could I do this with 2 children with these needs? Also the thought that a 2nd child with SMA may not be a strong as Helena, I have read that boys born to the same parents are often weaker than girls with SMA. The thought of the possibility of losing Helena keeps me awake at night and that terror is always there within me of what her future holds. Would I be preparing myself to have to say goodbye very early on to a 2nd baby with SMA? What would this do to Violet and Helena, to lose a sibling? 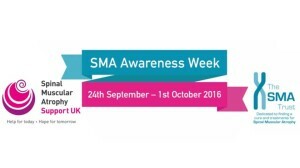 There’s certainly no guarantee at this time that even a pre-symptomatic child with SMA would be allowed access to treatment. So I’d be preparing myself once again to watch the devastating, unstoppable decline that I had to watch in Helena. But at the same time, with all these things running through my mind I was also thinking potentially it would have been another Helena, my own child, who I love and adore with all of me, and she’s pretty darn awesome!